John Iadarola: When rich powerful people find out that shockingly they’re going to spend some time in prison, it can be a difficult thing to deal with. They’re not necessarily cut out for prison. 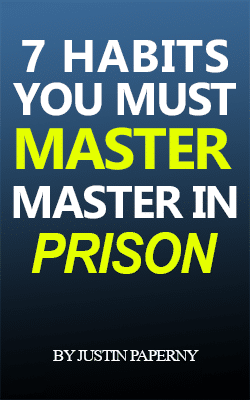 I know I wouldn’t know what to do on the inside, but there are people whose job it is to get people ready for possibly a life in prison, and that is where Justin Paperny comes in, federal prison consultant, author of Lessons From Prison and Ethics in Motion. Justin, welcome to the show. Justin Paperny: Thanks for having me. John Iadarola: Thank you. Look, I’m very curious about this because there have been a number of high profile people who have already received big sentences recently, some connected to Donald Trump, some who might in the education scandal, Michael Avenatti might end up spending a little bit of time in prison, and so you advise people on how to prepare for that, so what sort of advice do you provide? Justin Paperny: Well, the advice depends on where the defendants are in the journey. Based on where the defendants are in this college cheating scandal, what I’d advise them is if they’ve done it, I ask them on our call, what is success for you, and usually success is the shortest sentence and the most favorable environment, and of course, they hope that environment is their home, meaning they got probation or home confinement. So in order to get there, if they did it, I encourage defendants to accept responsibility, to move towards accepting a plea agreement, and therefore they can move on with their life, let the healing begin. Also it helps them get their highest goal, the shortest federal prison sentence, so that’s where our conversations range right now. If you did it, own it, let’s move to the next phase. 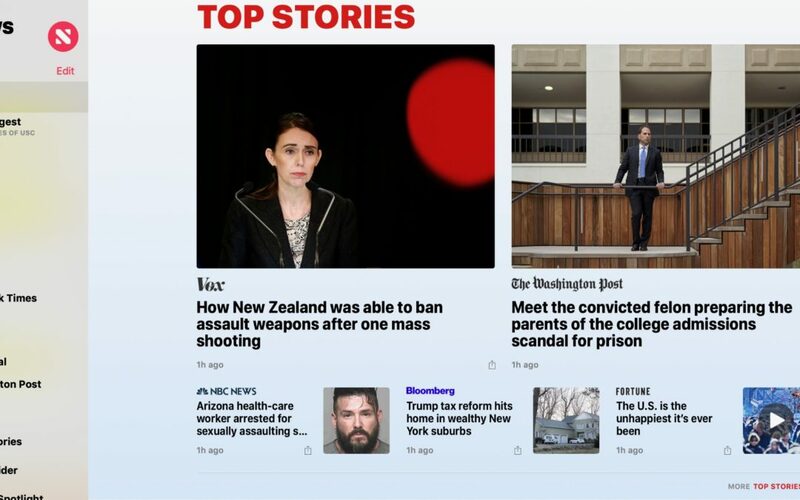 John Iadarola: So I know we definitely can’t talk about any particular individuals or anything like that, and the goal, as you point out, is to not spend time actually in prison, to make the right choices along the way that you don’t end up there, but if you do, I imagine that there’s quite a bit of anxiety around that, fears of a very different sort of environment. So if somebody is about to actually spend a year or 10 or life in prison, in that aspect, what sort of advice might you provide? Justin Paperny: Well, for the majority of our consulting clients, the white collar advice, they have to understand the experience is going to eventually end, they’re coming home, so part of my goal is to help them find some perspective. People have endured worse. My business partner, Michael Santos, served 26 years in prison. Shon Hopwood, my other partner, served 11 years for robbing banks. He’s now a professor of law at Georgetown, and they came home strong and ready. Justin Paperny: So what we help them do is one, debunk many of the misperceptions they have about prison. They’re going to get raped, get hurt, or go under protective custody if they cooperated. Those things are all on TV. So we help them create a plan, hold them accountable, and help them focus on the toughest thing, coming home with a sullied reputation and recognizing this is harder on their family, on their children. If they have that realization, they’ll be productive in prison and two years won’t feel like 20. John Iadarola: That is interesting. I certainly would like to hear more about the misconceptions because everything that I know about prison is mostly from like Oz, I guess. John Iadarola: Which is not only a TV show, but it’s not a recent one even. John Iadarola: I’m also curious too though, what sorts of questions do you get asked? Are there any that stand out as particularly common? Justin Paperny: Are there going to be white supremacists in federal prison? The answer is yes. 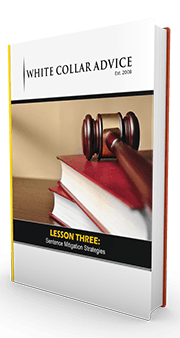 I wrote about an experience with a white supremacist in my book, Lessons From Prison. Are the showers private? Will I have to go to the restroom in front of other people? What will my job be? Will I be scrubbing toilets and showers? Will I be ostracized because of my net worth or because I was a celebrity? How do I respond to guards if they want to speak with me? If we have 17 more days, I can go on for another 17 days of questions they have. John Iadarola: So I am curious too, you talked a little bit about your partner, and I find your path very interesting. So you spent time in prison, and you decided to come out and sort of make that your career as a consultant in that area, in addition to other work that you do in writing and speaking and all of that. What made you make that choice? Justin Paperny: I was in prison with my partner, Michael Santos, spinning out of control. I was angry at all the money I gave to lawyers, angry at how poorly I worked with the government, I’d lied to them, made it worse for my victims, worse for my parents, and I was in prison wondering, you know, what the hell is going to happen with the rest of my life? What do I do as a white collar educated executive? What do I do? 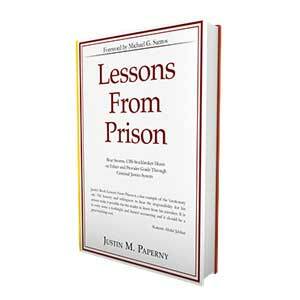 Justin Paperny: And I realized there were so many people in prison just like me, worried about what they’re going to do in the future and living in regret over how they prepared for sentencing and prison, so with Michael’s help, we orchestrated a plan where I began writing blogs, and then we wrote a book, and I began mastering the bureau of prison policies, documenting the journey, which is so key. Every day on the inside, I documented it, and within weeks of writing a blog from prison, hundreds of people were sending me letters, just thanking me, providing a glimpse into this unknown world of confinement. Justin Paperny: So it started on the inside recognizing wow, there’s a lot of things I could have done differently, and I lived in such regret, and that’s why I have frequently said, that Washington Post article that ran on our company, the hardest part is before you go to federal prison, the wondering, the waiting, what’s going to become of my life? I ate poorly and gained weight. I was in denial and I lost friendships, relationships. That’s the hardest part, and frankly, I want people to do better and orchestrate a plan to emerge successfully. John Iadarola: That is fascinating, and there’s so many questions I want to ask you. I don’t know how much time we have, but one I guess gets into the area of misconception, so I’m not particularly well off or anything like that, and it can be frustrating for me when I see very rich people, especially if they’re politically connected, you know, politicians who go down for corruption scandals, things like that. In the off-chance that they actually do time, it always seems like the sort of the idea is that they’re going to go to a place that is a better lifestyle than what I have on the outside. Is that accurate? How nice are the nicest lock-ups? Justin Paperny: There is nothing about it that is a country club. You are certainly separated and confined, and if you’re living in the worst apartment in the worst city in America, I’d rather be there than the inside of a federal prison, especially in these open environments. Imagine walking into a gym. You see 150 bunks with no privacy or separation. That’s where you’re going to be living for several years, so I want to make that very clear. There’s very little about it that is a country club other than perhaps a tennis court or two. John Iadarola: Justin, this is so fascinating. Thank you for joining us. I wish that we had more time, but we really do appreciate you joining us, and I have a feeling that you and your company are probably going to be pretty busy in the near future. Justin Paperny: I’ll close with good people can make bad decisions. If they accept responsibility, they can move forward and have an even better life, as I have. John Iadarola: Okay, I think that’s a good point to end on. Thank you for joining us. Justin Paperny: Thank you very much. John Iadarola: Thank you very much for watching this clip from The Damage Report. If you liked it, don’t forget to subscribe to this channel, and ring the bell on YouTube to get notifications of our new videos, and of course, you can catch the full Damage Report live every weekday at one p.m. Eastern, 10 a.m. Pacific on TYT Network on YouTube TV. Women like Lori aunt becky Loughlin will no way be prepared to live in a prison. Nothing in her selfish delusional life will ever allow her to visualize prison life. It will take going to actually understand.